This site is for learning stroke orders and pronunciations for all Kana characters. Japanese online with various learning contents. Students can learn practical Japanese conversation, daily phrases, Hiragana Katakana, Kanji and today’s Japan. Online self-study programs for beginners. This site will help you learn greetings and basic conversations. You can learn Aizuchi (back-channeling), a key to smooth conversation with this site. This website is for people who want to learn natural conversations. On this site you can watch videos of conversations and practise your listening, speaking and writing. This is a site where foreigners living in Japan can practise Japanese conversation. This is a site where you can find some detailed information on the Kansai dialect. These are podcasts of radio programmes aimed at native Japanese speakers. Advanced learners of Japanese, can challenge some high-level listening practice here. This is a useful website for beginner-level learners who want to practice their listening. You can listen to Japanese songs and see the lyrics in both Japanese and English. You can listen to the day’s NHK news and choose between NORMAL, SLOW or FAST speed for the audio. On this site you can read, and listen to, Japanese folklore tales in 12 different languages. This is a useful web magazine for people who want to know about Japan. Hiragana Times magazine is readable in Japanese, English and Romaji, making it an ideal information and eductaional tool. You can read, listen to audio and watch videos of the most recent news in simple Japanese. 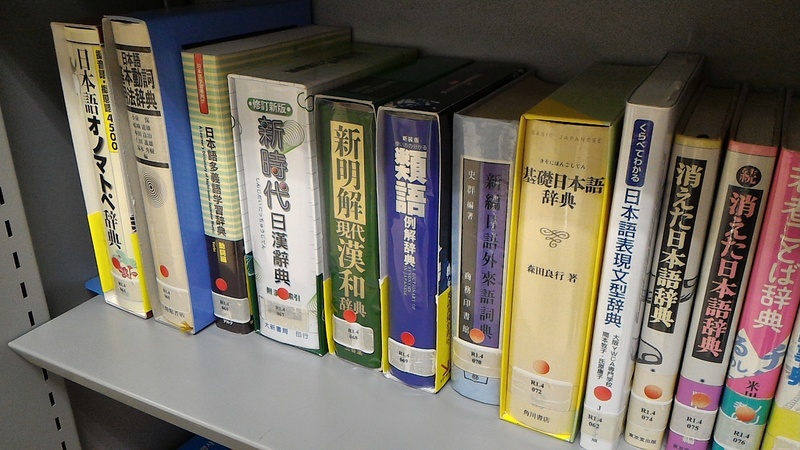 These are Japanese reading materials designed for upper-intermediate level learners. These readings look at 200 basic kanji characters one at a time, explaining in simple terms how each one came about, how the meaning of each has changed and so on. You can read copyright-free works of literature (and more) written in Japanese. Using this site you can read world-renowned masterpieces or speeches in both English and Japanese. Lots of Japanese folklore tales are introduced on this website. From this site you will learn powerful grammar in just 5 minutes. You can try quizzes based on elementary vocabulary and grammar. You can learn Japanese and find out about Japanese culture in a fun way with lots of video skits, games and quizzes with this online site. This is a website where you can study beginner-level Japanese grammar. This is a useful site for people who are just starting their Japanese language study. J-CAT Japanese Language Test automatically evaluates the proficiency of the Japanese language on the computer. This is a website about giongo (onomatopoeia) and gitaigo (mimetic words), created by The National Institute for Japanese Language. With this site you can search for or browse through real examples of Japanese “gitaigo” (mimetic words) and “giongo” (onomatopoeia) used on the internet. This is a website that introduces and explains, in simple terms, proverbs and idiomatic phrases. This is a website where you can some study fundamental Japanese terms used in economics/business. This is an official website of JPLT. You can try JLPT sample questions on this site. There are some sample questions of JPLT on this site. On this site you can choose your level and take vocabulary, kanji and grammar quizzes. This is a list of important Japanese grammar points with explanations and example sentences. You can learn about The Examination for Japanese University Admission for International Students (EJU) with this site. This is the website of Japan’s National Tourism Organization. You can find lots of information related to Japan and Japanese culture here. This is a site where you can use manga and anime to study Japanese in a fun way. Here you can find learning materials to explain about Japanese language and culture. This is a website that introduces various aspects of modern Japan, including culture, society, politics and economics.